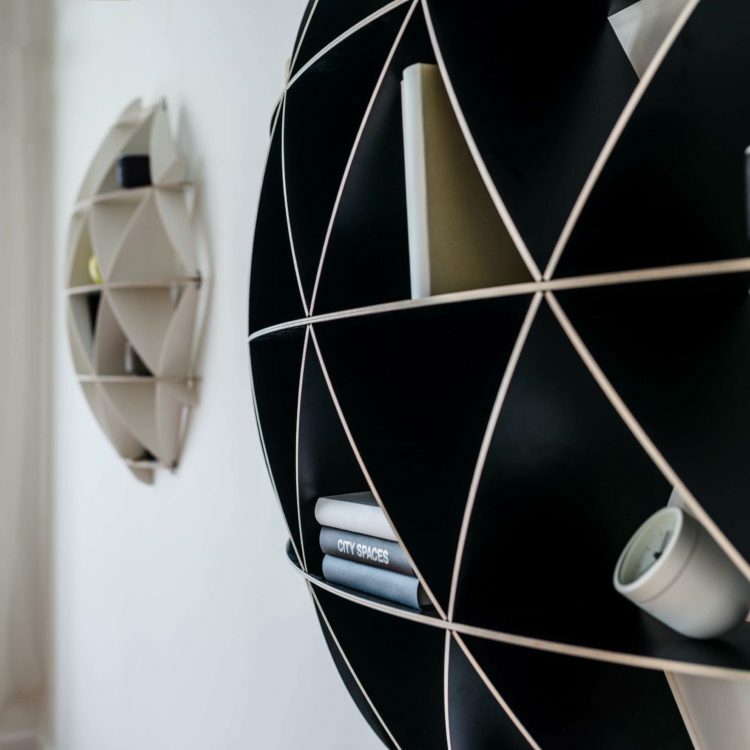 Unique scandinavian design furniture inspired by natural geometry. Unpredictably recognisable. Free shipping within EU! Jaanus Orgusaar is once again present with his collection of shelves, lights and brand new designs at the Tallinn Interior Fair from 20-22. April. Please visit us at stand 204A to get special fair discounts for all products - 20% during the fair week and get a close look at the new arrivals in our collection. We are presenting new plywood roomdivider CELLS - custom sizes available, outdoor chair O2, new simplified version of dining table Nemo. And by default we showcase the ever popular Comb shelves family and Dune shelves. Come and take a look! 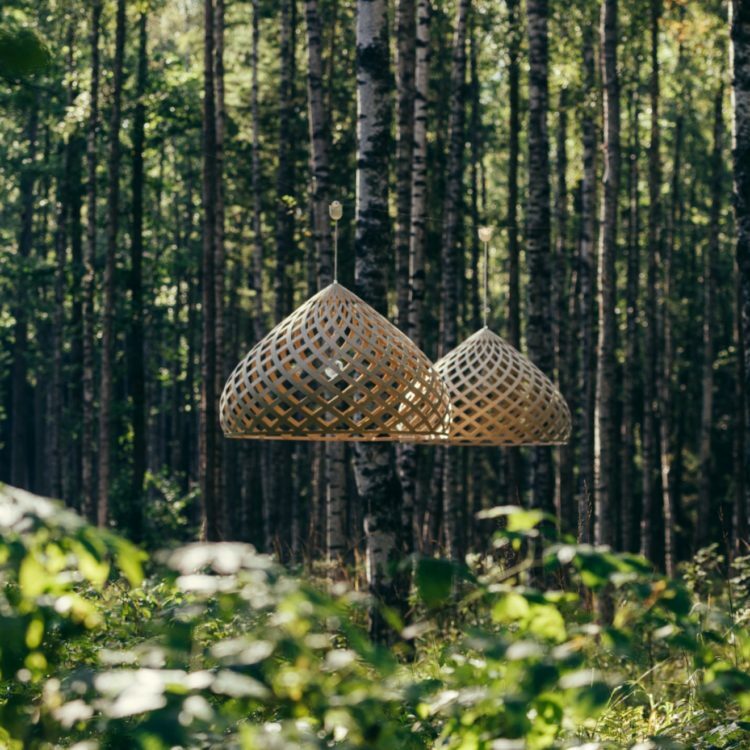 Zome is a modern version of the traditional yurt that consists of identical vermiforms bent in a bow, creating synergy from tension, and bringing to us an ethereal, spiritual space. Zome is a self creating bionic structure. This revolutionary idea brings a whole new meaning to “glamping”, or glamorous camping. Suitable for camping, yoga classes, meditation, gatherings or events. The diameter of the tent is 6m, height 3.8m. The structure is made of 9mm birch plywood and the cover of boat fabric, water and wind resistant. The yurt can be mounted in 1 day. Can be built on a terrace or ground. Comes in a DIY kit with instructions. On the top there is an opening, that can be used for a chimney or fireplace. 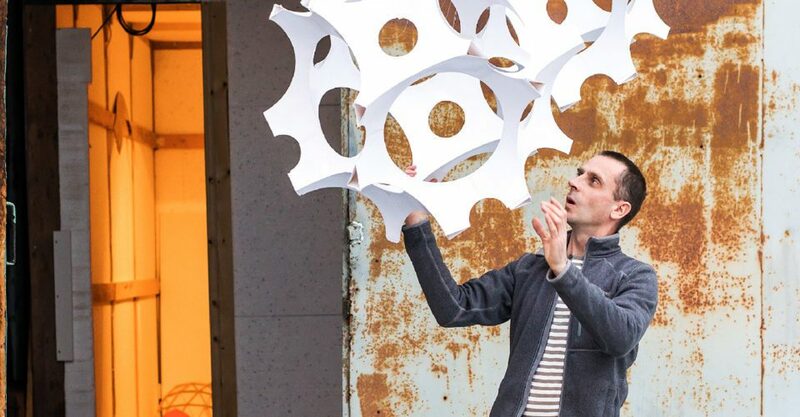 Jaanus Orgusaar erected the new collapsible Zome yurt for the Tallinn Architecture Biennale in Telliskivi square. 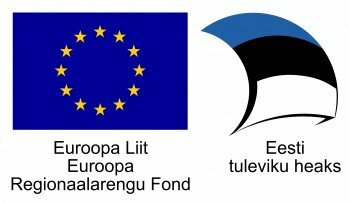 Tallinn September 2017. 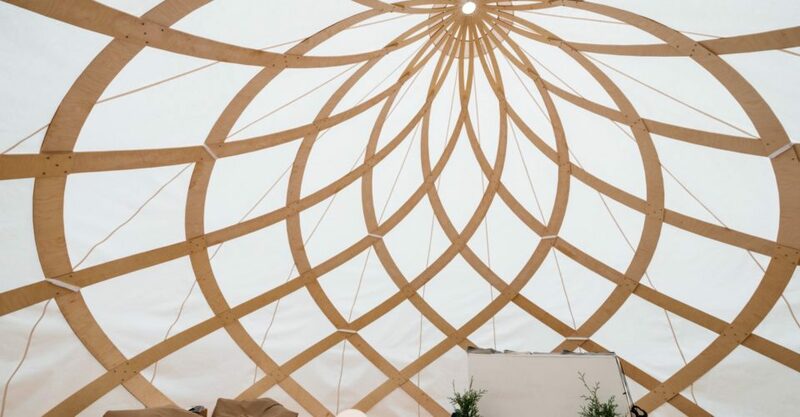 Zome is a modern version of the traditional yurt that consists of identical vermiforms bent in a bow, creating synergy from tension, and bringing to us an ethereal spiritual space. Zome is a self creating bionic structure, the structure is made of 9mm birch plywood and the cover of yacht fabric, water and wind resistant. Jaanus Orgusaar is once again present with his collection of shelves and lights at the Tallinn Interior Fair from 21-23. April. Please visit us at stand 208 to get special fair discounts for all products - 20% during the fair week. We are presenting new variations of the Dune shelf, we offer now 3 sizes and a new feature are curvy doors for the original Dune. Besides that we present our new product Coffee table Nemo from bended birch plywood, feather-light and with a versatile 2 in 1 property to transform from a low coffee table to a small dining table by just flipping it 90 degrees and placing the glass top on the other side. Also we present a new color and material option for the design classic COMB shelf- we now offer the medium size in Valchromat light grey. Come and take a look!